Strike action by Aberdeen bus drivers due to begin tomorrow has been suspended to allow a vote on a new offer. 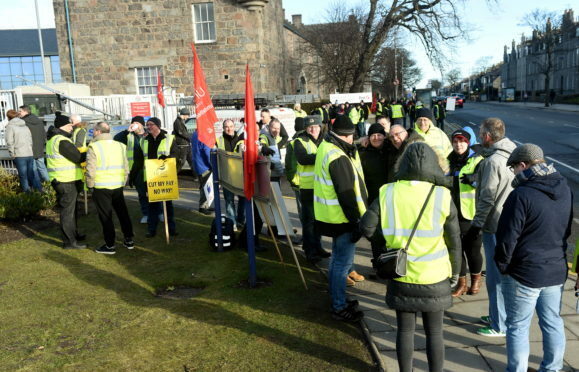 First Aberdeen and the Unite union have been in talks with the arbitration agency Acas over proposed driver contract changes for the past two days. Willie Wallace, Unite regional officer, said: “From the union’s point of view there has been a significant enough shift in the company’s position to justify putting the new offer to the First Bus drivers. The union ballot will take place tomorrow and Monday to determine what happens next. Mr Wallace added: “It has been agreed through the necessary channels that should the members reject the new offer then indefinite strike action to fight for an improved deal will start on April 11.